Act Now! Make Money From Global Warming! | Watts Up With That? Act Now! Make Money From Global Warming! 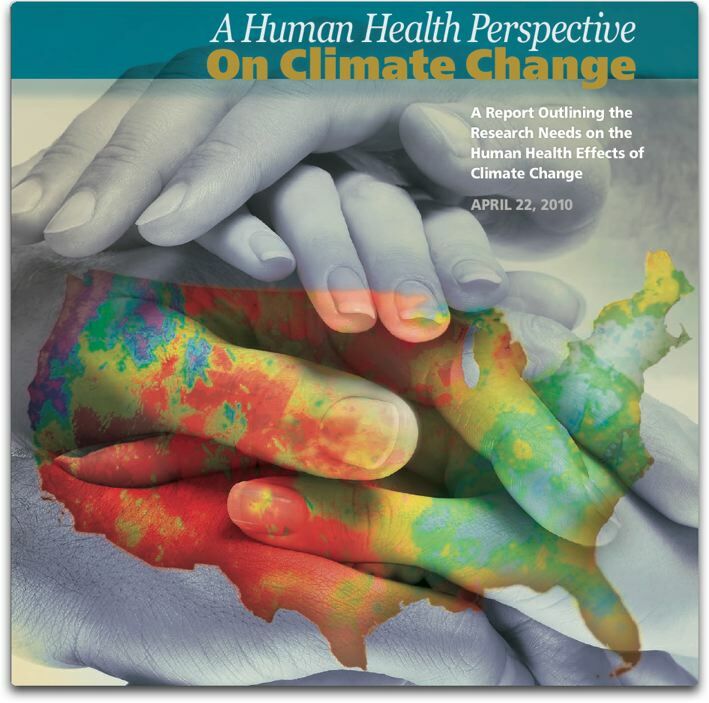 Over at the National Institutes of Health, they have announced that there are funds available for research into the effects of climate on human health (NIH announces climate change and health funding). I guess it’s like they said in the movie “Field of Dreams”, their famous line that “If you pay for it, they will come.” Or something like that, I have a feeling that’s not exactly what they said in the movie, but you get the idea. Mental Health and Stress-Related Disorders—By causing or contributing to extreme weather events, climate change may result in geographic displacement of populations, damage to property, loss of loved ones, and chronic stress, all of which can negatively affect mental health. Research needs include identifying key mental health effects and vulnerable populations, and developing migration monitoring networks to help ensure the availability of appropriate health care support. You likely weren’t even aware that the loss of loved ones can negatively affect mental health, but don’t let that hold you back! Because there’s more to this exciting funding opportunity than just monitoring migrations and being negative about mental health. Click the “Continue reading …” button below on your screen right this minute to find out about more money-making chances in the exciting new field of human climate health science! Press the button now to secure your future, this opportunity won’t last! Neurological Diseases and Disorders—Climate change, as well as attempts to mitigate and adapt to it, may increase the number of neurological diseases and disorders in humans. Research in this area should focus on identifying vulnerable populations and understanding the mechanisms and effects of human exposure to neurological hazards such as biotoxins (from harmful algal blooms), metals (found in new battery technologies and compact fluorescent lights), and pesticides (used in response to changes in agriculture), as well as the potentially exacerbating effects of malnutrition and stress. Cancer—Many potential direct effects of climate change on cancer risk, such as increased duration and intensity of ultraviolet (UV) radiation, are well understood; however the potential impact of changes in climate on exposure pathways for chemicals and toxins requires further study. Science should investigate the effects of mitigation and adaptation measures on cancer incidence so that the best strategies can be developed and implemented; for example, research to inform understanding of the benefits of alternative fuels, new battery and voltaic cells, and other technologies, as well as any potential adverse risks from exposure to their components and wastes. Here’s the bottom line—the votes are in, folks, and the debate is over. Despite the best efforts of the oil industry shills to deny the obvious facts, the chain of causation is crystal clear. Climate change causes things like alternative fuels, voltaic cells, compact fluorescent lights, and new battery technologies, and these inevitably lead to cancer and neurological diseases and negative mental health outcomes. OBLIGATORY FINE PRINT: The author certifies that he has no economic, fiscal, personal, or for that matter, really even the slightest interest of any kind in the NIH program. All warranties, expressed or implied, are hereby neither expressed nor implied. Prior results are no guarantee of future performance. Please recycle or otherwise dispose of your old emails and unused web sites in an ecologically responsible manner. All funds provided courtesy of the US Taxpayer. No electrons were harmed in the preparation of this post. All characters are imaginary and, in common with much of climate science, none are based on real individuals or observations. In some instances names have been changed to protect the guilty. Any resemblance between this NIH funding program and vital medical research is purely coincidental. Offer void where prohibited or taxed. Not valid in Washington, DC. ← The climate movement becomes "occupied"
So these are the “green jobs” our illustrious leader speaks of. About time. So far my neighbor’s dog has created more “shovel-ready jobs” than this administration. If they pay for it, they will be redeemed. It does sound very much like selling American gold mining to the chinees, doesn’t it. Broken spirits will be the outcome. Global warming research causes me stress. Please send $$. “Shovel ready” funds for research. Al Gore can write on how the changing of the climate, climate, makes one spiral into a Neurological spasm of abusive swear words!! Money to be made Al!! You got that right, not the mention your stress from having a blog. Double the $$. You have to read the small print … it is the best bit! Ooh, can I document the negative mental health effects of Climate Change “Instruction” on captive school-age audiences? It’s only walking distance to my local high school, I can find at least a handful of psychotics there. Mental health effects: unreasoning fear and paranoia. Vulnerable populations: CRU staff, UEA administrators, IPCC authors, CAGW blog followers. Send $$ for further research and identifications. Haven’t they done this scaremongering before. So failed Green Age. Tell these bores the world has moved on from being conned that a rise of 0.8C over 150 years will endanger health. Yesterday on the Bolt Report in Australia, Professor Peter Ridd? blew apart the scam over the Great Barrier Reef. Our past 2 Prime Ministers have made the ridiculous claim in summary, pay the carbon tax or the great Barrier Reef gets it!. They must have watched too many cartoons as children. Thanks Willis. I’m applying; no joke. I am sorry, but I have a preference for Swiss francs instead of $$ … Here in Switzerland we are more stressed than US citizen, because of Europe influence on AGW. You get the studies you pay for. Once funded what is the chance of you finding there are no negative effects ? Seems to overlook the fact that the grant money does not go into the grantees pocket for their own personal use. The grant money is used to produce a product: knowledge. Word must be out that Obambi is stimulating more of our money………………….. They haven’t a clue. But they got de money. Wussup wid dat? Speaking of species migration, I hear a lot of Canadians are buying property in the Phoenix area for snow birding. As far as adaptation goes to avoid skin cancer, i hear many are wearing hats when they play golf. Now I know why those marauding Vikings were called “beserkers” … climate change. I think I’ll set up an organisation to ‘compensate’ their ancestors … please send donations to … me. I have to think that there will be heaps of climate change dollars available soon in Australia too! Once the Carbon Tax is through and even though much of it will be used to compensate those most effected by the tax (how does that work?? ), surely there has to be some left over for worthwhile research projects and “green jobs”. I actually met someone a few days ago that has a “green job”. He is working part time – gets paid for 2 days but is working most of the week. The job? Trying to sort out the mess that is the climate change grant monies that have been awarded to the university where I used to work! Seems that the academics have no idea about where it has been spent and how much is left :-). Climate Change implies a redirection of slope (trend). There are 3 possibilites of climate slope. One is climate neutral, where the slope is lowered to near zero. Another is climate cold, where the slope plunges below the zero line and becomes a negative slope. The last one is climate warm. The slope of climate now being neutral for the last 10+ years, what next? There are only models of warming. None that I know of investigate/simulate cooling. Seems awfully limited, there being only 1 type of climate model. Heck, there aren’t even climate neutral models. And then there are change models to consider, like warming to sudden cooling or neutral to cooling/warming. Lots of work has been put on hold, gathering dust. I suffer with an ingrowing toe nail. I thing it started around winter shoveling that cold white stuff. Am I eligable for funding? It’s true… all that doom mongering can induce stress in some cases. I wonder what a sudden global cooling would do to this funding source !! This is another of those research RFPs (Request for Proposal) which states the desired conclusion and offers money for confirmatory research. You know, to make it all sciencey and stuff. Watch what happens to the first grant recipient whose preliminary results indicate the opposite effect. NIEHS: National Institute of Environmental Health Sciences has in the past identified asbestosis, lead, and urban pollution as health hazards. More recently the breast cancer gene BRCA 1 has been identified via grants of NIEHS. Climate change is a newly identified toxin with impacts on asthma, heart disease, and mental disorders. Two years of funding. Please post Intent to submit proposals by April 2012. The head of NIH is Frances Collins of Human Genome fame and the Howard Hughes Institute in Ann Arbor. Letters querying the wisdom of such research should be directed to him. Queries regarding the Federal granting institutions for physical anthropology may be more appropriate. Lazy’s childlike naiveté is so cute, isn’t it? Michael Mann gets a $1.8 million payola grant to study mosquitoes. The grant didn’t go to a biologist, or an epidemiologist. True, the payola went to the university. So Mann gets top pay for his rainmaking, plus he gets an unlimited travel allowance. And he makes maximum use of his travel perqs. I doubt if he stays in a Motel 6, either. Mann also gets a large part of the money for his own personal use in an expense account. It’s just one step removed for plausible deniability. Only a credulous teenager would believe Mann’s mosquito payola was intended to “advance knowledge.” And that grant was just the tip of the iceberg; Mann has collected many millions in similar grants. Want a list? Just ask. Wow! I go from cold to hot to cold every day, not to mention season to season, so that must be having a disastrous impact on my health. 1) Unfunded liability for essentially worthless alternate energy projects with 30-year taxpayer guaranteed mortgages looming ahead. 2) Cost of resurrecting fossil energy production infrastructure. 4) The prison crisis. Will prisons be forced to release violent criminals in order to make room to accommodate public demands that climate scientists be incarcerated? If I had control over NIH’s budget, and I was mandated by a fiscally conservative congress to find ways to reduce my budget by 20 to 30% starting in 2012, then I would have a very hard time allocating any money to efforts like the ones noted here. I thought the true mental health problem caused by AGW was the scientists who turn to crime, fudge results and are (as we say in England) “economical with the truth” in return for the money. That’s the worst mental health problem associated with AGW that I come across in everyday life. NIH – can I please have $2m to research this . I’m applying. My proposal is to observe the health status of people who travel from far northern climates to tropical areas instead of waiting for the arctic to turn tropical. Yes, I’m going to be asking Swedish girls wearing bikinis on Mexican beaches lots of personal health questions. I supsect alcohol will be involved. Grant money can by a lot of margaritas and Coronas. Have we crossed the mother of all tipping points? Causing more breaucrats and even more ways climate chang may result in things needing more bureaucrats. This is better than Matthew Lesko. Will there be a late night informercial? /Spent too many brain cells memorizing movies. //Don’t even get me started on Star Trek. There’s money available? That’s it. Defund the bozos now! Here’s the study that really needs to be done: what percentage of government grants went, like this one did, to reinforce the theory of AGW, as opposed to objectively studying it? Governments are as broke as they can get, yet climate change funding just seems to grow and grow and reach into all kinds of new areas. The “99%’ number is so bogus. There are almost no truly poor people in America. Despite propaganda to the contrary, almost everyone has enough to eat [those with the lowest incomes tend to be the most obese], almost everyone has a place to live, and everyone is entitled to medical care. Truly poor people have distended bellies and arms like broomsticks. Today’s “poor” are generally that way due to bad choices: drug abuse, unmarried pregnancies, preference for welfare over work, etc. And there is tremendous churning within the population cohorts. Those in the bottom 20% tend to rise out of that cohort over time… and plenty of people in higher cohorts end up dropping into lower ones. In a free market there will always be income disparities. People are not created with equal abilities, drive, intelligence or ambition. These “99%” mob gatherings are simply coveting of the results of others’ drive and discipline. The top 1% of the population pays most of the country’s tax receipts. So how much more is their “fair share”? The entire bottom half of the population pays no federal taxes. What should their “fair share” be? And name one ‘poor’ person who ever created a job. The one thing I have noted over the years is that all these potential disasters only affect Western communities. The floods in India or Pakistan are an annual event but the people there seem to have adapted without suffering any rise in mental health issues. In fact there don’t appear to be nearly as many mental health problems among the truly poor. Much of the stress in modern living comes directly from wealth itself. Wealth means having more time to focus on self as opposed to focusing on family and community and just surviving. When you are knee deep in water in a rice paddy you don’t concern yourself with a few parts per million of a trace gas nor do you fuss over whether a gay couple can be married. You know, now that I think about it, having someone who makes far more money then me, has a bigger house, ( or several) and consumes way more then me telling me that I need to cut back does make me a little anxious. I hope they emphasise that most dangerous communicable diseases, for crops and people, happen when it’s cold and humid. 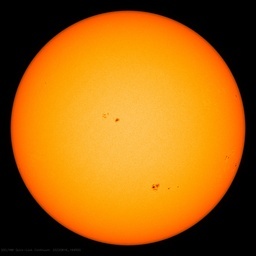 Will they accept proposals that examine the effect of global cooling? I do hope you’re not just coming to that conclusion! Time to wake up. There is absolutely no reason to actually DO the study just make up the results like Cetero Research did. Federal drug regulators are warning pharmaceutical companies that a major drug testing lab may have faked the results of some of its tests. ….The FDA inspected Cetero in May and December last year and found falsified records about studies. Specifically, in at least 1,900 instances between April 2005 and June 2009, laboratory technicians identified as conducting certain studies were not actually present at Cetero facilities at that time, the FDA said in its May report. Now don’t you feel safe about taking that new drug the Doctor just prescribed…. I have a toenail health problem with ingrowth. I can see it. Friends tell me I also have a mental health problem. What is a mental and where can I see one? Does not, being skeptical of climate change, constitute a mental health disorder ? Or is this one-way research that only benefits the preconceived notion ? Is this event not going back a bit? No matter, what I find more disturbing than a money grab though, is some of the prepositions in the text. The ‘metals’ and organics and ‘pesticides’ could also be interpreted as something already in compositions or by products of actual attempts in improving earth’s albedo albeit possibly unnecessary, and that the money grab is crafted for some numb-nut to come up with a plausible excuse for possible unnecessary damage already afflicted. Research complete: I found that people tend to shiver less with warmer external temperatures. They also have more discretionary funds because they don’t have to spend so much money on heating costs or on excess clothing. People in a warmer world can enjoy more abundant foods, not only from the better harvests due to increased CO2, but also from longer growing seasons. They even get a greater diversity of fruits and vegetables. Even home gardeners report more flowers and vegetables in warmer climates and no longer feel as compelled to buy a home greenhouse in order to lengthen their growing season. People also can exercise outside for a longer season and cut down on their workout club expenses. Warmer weather gives them the chance to get fresh air while exercising and also more sunshine and Vitamin D. Oh yes, less SAD type depression because they are not as confined to indoor activity (since the don’t have a much chance as freezing off their keisters/tuchases in cold weather). Consequently, less mental health disorders and the expenses of treatment — and less suicide as well. I could go on as that’s only the beginning! Strangely enough, in all the non-free markets tried so far, there have also been income disparities. Yeah, it’s there, and plenty of it. As soon as we borrow it from China. Why not do a survey on the health benefits of wind turbines??????? Then bring in the fact all the problems that are being registered by those who live near them. When da winda blow harder my hearing gets worser. True too, people are suffering from mild Menieres syndrome, because of the low frequency noise and vibrations. It upsets the equilibrium in the inner ear. money grubbing idiots will stoop too. Somewhat more seriously, I seem to recall that the Russians maintained a higher CO2 level in their space craft because they found that the human body was adapted and functioned better as somewhat higher CO2 levels than currently exist in naturel. That would be an interesting study that will not get funded by our Government. Another idea to study: Whether the GCM can, under any circumstances, show global cooling while CO2 is increasing or is that hard wired into the model itself. …I’m submitting a grant proposal to the NIH to study the scourge “climate blog addiction,”and would like to solicit volunteers from the WUWT group. Smokey, RGates, Pamela, Gail etc., are all invited! Airfare, meals, and generous per diem will be included….I think this is a very important study topic. p.s. Mods will be hired as research assistants. I promise generous, government-style bennies. p.p.s. If I can, I’ll toss in some funding requests for Aussie & Kiwi subjects, just because I can. Brits too. And Spaniards. And Scots, definitely Scots! OK, I’m in on that CRS, Dr.PH. But to get this off the ground just make sure they are not asking for money in advance? Since when has ‘climate change’ ’caused or contributed to extreme weather events’? Is this a new definition of climate and/or climate change (the old one being that it is the average of weather)? Is the climate now causing weather? The Framework Convention on Climate Change (UNFCCC), in its Article 1, defines ‘climate change’ as: “a change of climate which is attributed directly or indirectly to human activity that alters the composition of the global atmosphere and which is in addition to natural climate variability observed over comparable time periods“. The UNFCCC thus makes a distinction between ‘climate change’ attributable to human activities altering the atmospheric composition, and ‘climate variability’ attributable to natural causes. Note that nature provides ‘climate variability’ whereas us nasty humans cause ‘climate change’. They’ll win and win until they lose. Cool, I’m a psychologist, now I can list myself as having a “Green Job” after all I’m helping people cope with the stresses of mitigation…I think…Whatever…Can I have my funding now, please? Only one word in the English language could describe this accurately and that would be codswallop. Oct. 10 (Bloomberg) — The European sovereign debt crisis that’s spread from Greece to Italy and is roiling the region’s banks now has another potential victim: energy policy. European Union emission permits, needed by polluters from utilities to cement makers for each ton of the carbon dioxide they put in the atmosphere, slumped to their lowest price in 2 1/2 years on Oct 4. An auction of permits by Greece, trying to avoid the euro area’s first default, worsened a glut of the allowances, UBS AG analyst Per Lekander said last week. I suffer from Seasonal Affective Disorder. 1st study should be an experiment that flies me to Bali to stay in a 5-star hotel from late fall through the winter and back to the US mid-west in late spring. Repeat for as many years as necessary to gather enough data points for a stastically valid study. They are right you know–listening to such drivel is driving me crazy. I require some funding for a climate-change-related health survey which I intend to carry out. The thought of eagles & condors being ripped apart by wind turbines makes me sad. Therefore, I’m sending a bill to the Obama administration. The grant request will of course be approved because the principal investigator is good friends with several people on the approval committee, and is also member in good standing in the Sierra Club and Greenpeace. Such incredible naivety. Surely I was not this naive when I was young? Tell me it ain’t so! The only product that these funds will purchase is BullS@@@, with a very thin veneer of “NOledge_Lite(tm)” plastered on to appease the grantors and gull the public. Lazy, don’t be lazy. Go check out the climategate emails and the HARRY_READ_ME files. Back when I was in school, we used to call the act of fudging the data to produce the desired experimental results “Dry-labbing”. That’s hardly Science, but it could produce a good grade if one cleverly sprinkled some “noise” into the recorded numbers. That seems to be the story of HARRY_READ_ME. The dishonesty evident in the emails stinks to high heaven. Can you still claim that the grant money which funded this “research” has produced knowledge? Yep, my blood pressure rises every time I hear some blithering, empty-headed, zero-brain-wave idiot mention the effects of global warming. IGNORANCE SHOULD BE PAINFUL AND VOLUNTARY STUPID SHOULD BE A PUNISHABLE OFFENSE. Of course, my blood pressure rises in the presence of any kind of stupid. Maybe I’m just too sensitive; maybe it’s an allergy. On the other hand I’ve personally witnessed the “climate induced stress” and mental illness directly caused by 1/2 inch of snow in the NIH Bethesda area during rush hour, and it ain’t pretty. Whatever the skin disease is in the NIH cover photograph, I don’t want to catch it! evidence based policy based evidence request. What we need to do is pick a spot along the road to Seattle, and way lay that metal. Now, if I understand this properly [a BIG ‘if’] NIH says mental health problems follow warming. Obviously this is subject to rounding for season affective disorder, in case it upsets an applecart. Still on the right lines, I trust? Now, if the Scottish glaciers suddenly zap down to the south of England – effectively driving out thirty-some million or so good citizens from north of the Thames, making them economic refugees, and, I suggest, causing them an element of stress – then there will be no mental illness, even as the glaciers engulf the last “still-warm bundles on the doorsteps of a white London Town” [homage to Jethro Tull]. Does that still seem right? Even if this happens by next Thursday, which, I agree, may be a little faster than expected, I suggest that the folk of Kent and Sussex, having to take a dozen or two times their population as refugees, might feel a little miffed, too. Yet only warming seems to be alluded to in the lead study [or advertorial – I get so confused these days!] from the NIH. It will only take me a couple of days to write the paper and get my wife to do the peer review. Then I am very happy to do a world tour delivering my paper, targeting schools to maximise the impact. My tour will provide great PR for carbon tax, hence more than pay for the tour. PS can my wife come? Me, too. Both feet. Inherited from father, who had repeated agonizing surgeries to control it. I wonder if NIH would pay me to do a study of the uses of glycerin. They are myriad, but will never by reported because it is public domain, and a glut on the market (byproduct of making of salad and cooking oils, and biofuels, and other refining processes). So no one will ever make a buck off it, much less megabucks, and it would severely eat into the markets of numerous very profitable patented products. Oh, well. What I meant is that no proprietary claims can be established, so no research will be funded to speak of. O.K. I want to study the effect of climate change on retired philosophy lecturers. I’ll need a plush office with drinks cabinet, five atractive young female research assistants (at least three must be Chinese) and a travel allowance to take them all to investigate the effect of sunshines and sea-level at various beach locations. Please send grant money instanter. Do I have to do any actual research? A neat introduction Willis. Thank you. I thought I would also respond to Smokey’s comments also. Women, their children and teenagers in developing countries or regions often respond against a regime when they have the opportunity to view a life on the outside perspective. And often men, who are not titled to be the ‘traditional elders’ or ‘traditional landowners’ will respond or comment. Mostly these people do not survive. They are coded under classifications of Diagnostic and Statistical Manual of Mental Disorders (DSMs) or ICDs, and the self-interest of entrepreneurial endeavours and such. This response or cognitive ‘click’ to respond arrives suddenly; when an opportunity, an education that brings enlightenment, an access to the world, becomes available. The cognitive click appears, to my working experience, associated with an allow and respect to free speech or an open source internet. And often finally understanding and belief [and access to] that rule of law for all is true. For many seek to silence that. Or gain or to allow this freedom to speak. So, so cruel, our female Prime Minister, aided by the Green Party here in Australia. They seek to condemn women, their children and the young people of northern Australia, Asia and the Pacific. Human life whereby the tax of carbon and carbon dioxide will shape and determine human existence and continuation in underdevelopment that state and other programs justifed by tribal laws elders, rather than a freely voted democratically elected representative, justified by [a] marriage which ensures a communal right to property including another human being, justified by polygamy – women that will not be able to express their own self and creativity. A complete lack of industrial and human development to ensure this agenda is being set by the Australian government tomorrow (Wednesday 12/10). Women and their children, and many men, will weep throughout the Asia-Pacific region. If they survive to be human beings of free body, voice and will. It’s beyond satire. Is there a finite point beyond which human stupidity, gullibility or cupidity will not reach? Where can I get a substantial grant to identify the individuals and institutions whose pronouncements have produced this debilitating epidemic of climate change stress? I have already started the list.